The Erasmus Mundus is a cooperation and mobility programme in the area of Higher Education, implemented by the Education, Audiovisual and Culture Executive Agency (EACEA) that aims to enhance the quality of European higher education and to promote dialogue and understanding between people and cultures through cooperation with Third-Countries. In addition, it contributes to the development of human resources and the international cooperation capacity of Higher education institutions in Third Countries by increasing mobility between the European Union and these countries. This strand includes partnerships between European and third countries’ Higher Education Institutions, exchange and mobility in several Higher Education levels, and also a scholarship scheme for students, scholars, researchers and professionals. The ASSUR project intends to develop a structured mobility-based cooperation between 7 Syrian Institutions HEIs on the one side and 11 EU HEIs from the second side. This cooperation network aims at supporting students from all levels (undergraduate, Master and PhD and Postdoctoral) academic staff, researchers and administrative staff to gain experiences, expertise and skills through interaction in an international environment. 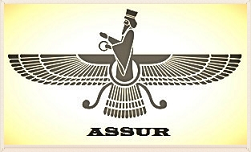 The ASSUR project supports 56 SCHOLARSHIPS divided in 3 cohorts according to the following: 18 Undergraduates – 20 Masters – 12 Doctorates – 3 Post-doctorates – 3 Staff. to develop sustainable relationships beyond the end of the project. ASSUR is intended as the starting point for a long and fruitful cooperation between the partners from EU and Syria. Within the project, the Partners will seek to develop activities that will lead to future new or enhanced exchange agreements and other joint study and research projects.